In this episode of the Asymptote Podcast, Editor-at-Large Lara Norgaard speaks with the experimental Brazilian-American musician, Arto Lindsay. Music and literature meet at the crossroads of Portuguese and English—what happens? Arto Lindsay. 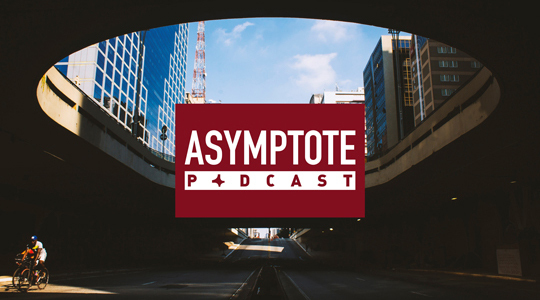 In this episode of the Asymptote Podcast, Editor-at-Large Lara Norgaard speaks with the experimental Brazilian-American musician of DNA and Ambitious Lovers fame. They discuss his unique combination of Brazilian and American influences which range from candomblé to Emily Dickinson. Together, they unpack his expansive and multilayered works while reflecting on the role of language and translation in negotiating identity. Music: “Ilha Dos Prazeres” “Unpair” and “Seu Pai” by Arto Lindsay, used with permission.